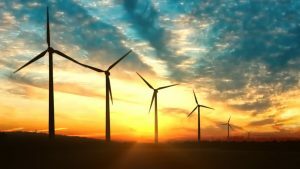 Europe remains the biggest region for sustainable investors with about $14 trillion devoted to these strategies, up 11 percent from 2016, according to the biennial report from the Global Sustainable Investment Alliance , which aggregates data from regional sustainable investment groups around the world. Other markets, while smaller, are growing faster. Japan saw the biggest jump, with assets in sustainable strategies up fourfold to $2.2 trillion. They now represent 18 percent of the professionally managed money in the market, up from just 3 percent two years ago. The country’s corporate governance code overhaul in the past few years has encouraged focus in this area and the 150.7 trillion yen ($1.4 trillion) Government Pension Investment Fund signed the United Nations-backed Principles for Responsible Investment in 2015. So-called negative screening, where investors rule out one or more specific categories of investments, such as tobacco, gambling or fossil fuels, remains the most popular strategy. Nearly two out of every three dollars — $19.8 trillion in total — were invested this way in 2018, the group said. Issues often overlap. Investors who integrate environment, social and governance principles into their portfolios, now represent about $17.5 trillion, up 69 percent from 2016. Assets that focus on corporate engagement and shareholder activism around environmental and social issues rose to $9.8 trillion in 2018, up from $8.4 trillion.